If you are a fan of the BuzzFeed Unsolved, then you certainly have met Shane Madej an actor, director and YouTube personality who has gained lots of fame and wealth for being part of the production of the documentary series. Shane has been with the BuzzFeed Unsolved from its very beginning and his role both as a co-producer and a cast member has helped to a large extent, in the progress of the series since its release in 2016. Let’s share with you some facts about the multi-talented American you can’t find anywhere. Shane was born on the 16th day on the month of May 1986. He was born and raised in Illinois, United States of America. He has not given any further information about himself, especially about his parents, siblings and other relatives of his. 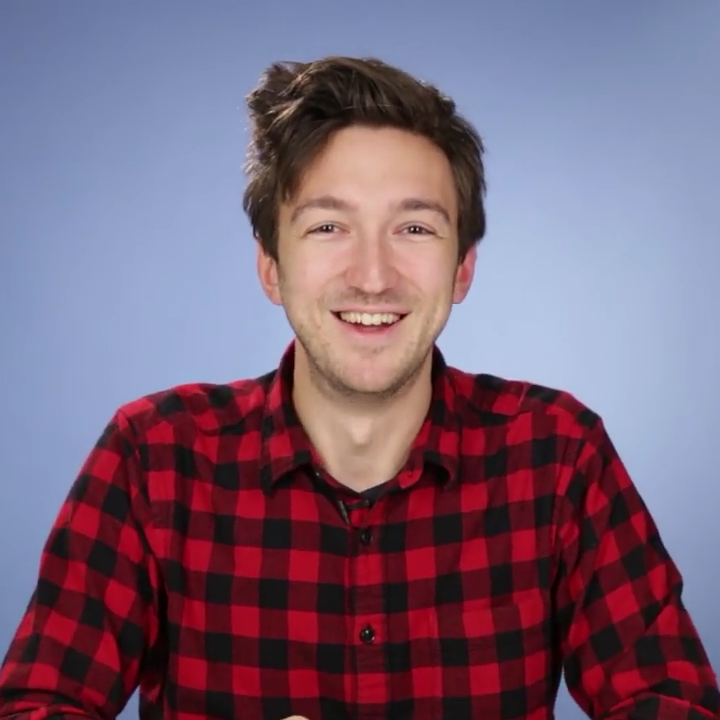 He is also mute on information about his academic background but we know him for being part of the weekly Buzzfeed Unsolved and for creating a good number of videos one of which is the popular video titled What Your Birthday Says About You. Shane Madej began his career as an actor and producer with the online media company BuzzFeed in December 2014. The New York City-based internet media has its focus on providing news and entertainment basically for the digital media. It was funded in 2006 by two digital media gurus, Jonah Peretti and John Johnson. Shortly after joining the internet media, Shane began to produce video clips with his first video on BuzzFeed’ YouTube channel being Unusual Facts About Diet Coke. The video made him popular on the internet with millions of people subscribing to the channel. Shane then wrote and produced more videos which also went viral. One of the videos that earned him much popularity was We Let Some Dogs Watch TV And They Were Positively Riveted. Having gained a major stand in the entertainment world, particularly on the video-sharing website, Shane Madej then began to produce BuzzFeed Series. He also worked with other BuzzFeed personalities like Jen Ruggirello and Sara Rubin in the production of some of their videos. In 2016, he joined Ryan Bergara in hosting the documentary TV series titled BuzzFeed Unsolved. The YouTube video which first aired on February 4, 2016, ran for eight seasons. The series focuses on discussing some controversial and unsolved issues like the alleged demonic possessions, Haunted places, crimes and historical occurrences. Thanks to the multiple views the series has garnered on the internet, it has become BuzzFeed’s most-watched show. Following the rate of views the series has gained, Shane and Ryan decided to create a YouTube channel titled the BuzzFeed Unsolved Network. BuzzFeed Unsolved was then divided into two- Unsolved True Crime and Unsolved Supernatural While the former covers unsolved crimes, the latter discusses paranormal mysteries. Buzzfeed even had to renew the show for its ninth season which will be aired in the later days of 2018. The popularity of the BuzzFeed Unresolved brought into existence three groups namely the “Boogaras” which consists of a group of fans who share Bergera’s believe in the existence of the paranormal; the “Shaniacs” who share Shane’s scepticism; and the “Shitfishes” who do not share any of the two beliefs. Thanks to the high ratings gained by the much talked about video series, Shane Madej earned not just the required fame, but the financial stance as well. Being a part of BuzzFeed, Shane made an estimated $1 million. 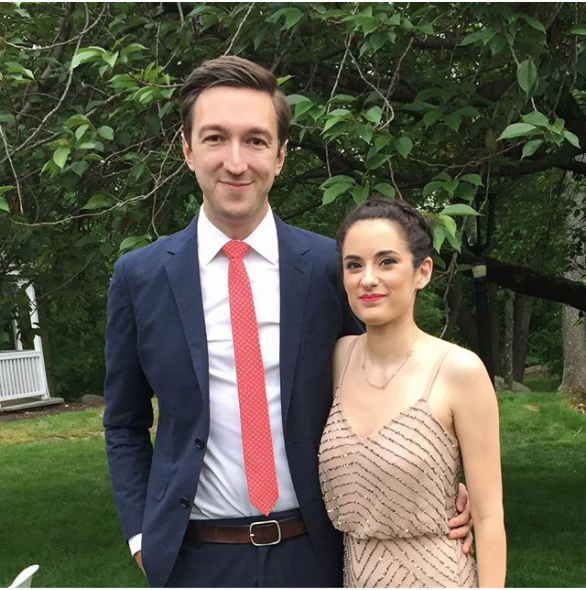 Shane is not all about his career as a producer, writer and actor, he sure has an interesting private life which he shares with Sara Rubin, his girlfriend and fellow BuzzFeed producer. Some of the videos Sara has produced include How Many of These Awkward Moments Have Happened To You? and Flirting or Not Flirting? The American native born on October 23, 1989, has also earned quite a fortune for herself as a video producer. She is believed to have an estimated net worth of $4 million which is double or twice her boyfriend’s. The couple live together in Shane’s house in Los Angeles, California. The two are quite active on all social media platforms where they share and promote the BuzzFeed Unsolved series as well as share comic contents. Shane is quite tall with a height of 6 feet 4 inches. The White American has a slim body which appears to be maintained with good workouts. Shane’s hair colour is brown with a light brown eye colour.